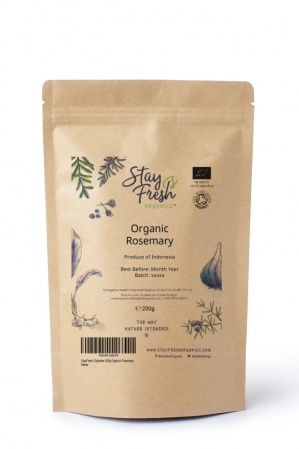 Stay Fresh Organics' organic dried rosemary is aromatic, strong and pure. Will bring your cooking to life. 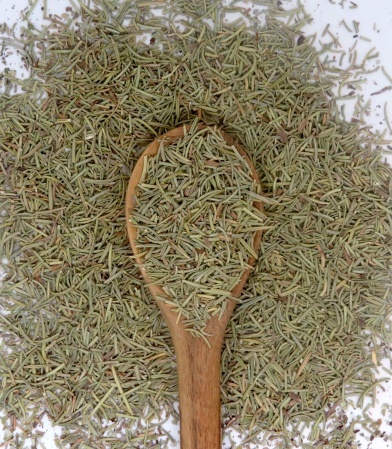 In Latin, rosemary means "dew of the sea" - appropriate since it is indigenous to the Mediterranean. Energy 23kCal, Protein 3.15g, Fat 0.64g Carbohydrates 2.65g, Dietary Fibre 1.60g.